Specialty Gearboxes – RJ Link International, Inc.
specifications. 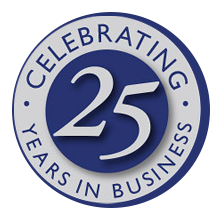 Our expertise is a critical component to each application. It enables our customers to focus on core competencies and rely on our Engineering and Manufacturing expertise. Duty cycles, life expectancy and end use are key factors in the design and manufacturing of our Specialty Gearboxes. Precision ground gears, a ductile iron housing, this gearbox is optimized for long life in a rugged application, ongoing research and development have continuously improved this overall design. precision gearing and refined housing specifications for ongoing performance enhancements. 2 speed, shiftable configuration, a ductile iron housing, a variety of ratios. A reinforced aluminum housing, optimized for size and weight, multiple outputs, custom center distance and other unique features. A ductile iron housing with custom integrated mounting lugs for integrated frame mounting, multiple outputs, and a compact size. Custom housing size with multiple hydraulic pump pads and engine mounting, custom sized to provide optimal performance within stringent space requirements. Precision ground gears mated to an aluminum housing with stringent noise and space requirements, this engine rotation gearbox is an example of extensive development to meet defined parameters. Precision ground gears to withstand a unique duty cycle and space requirements. 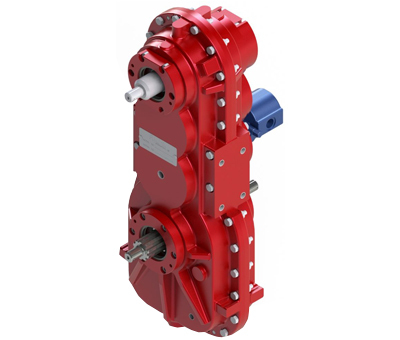 This gearbox is custom designed to integrate with a hydraulic clutch, precision ground gears provide increased capacity to meet unique operating conditions and a rigorous duty cycle.